"Fire Whisperer" - Can you ever outlive your past? Injured in a hotel fire, Keva Tait experiences auditory and visual hallucinations and is diagnosed with schizophrenia. But is this illness really at the root of her constant encounters with a young, dark-haired woman and an elder who materializes at night on her bed? 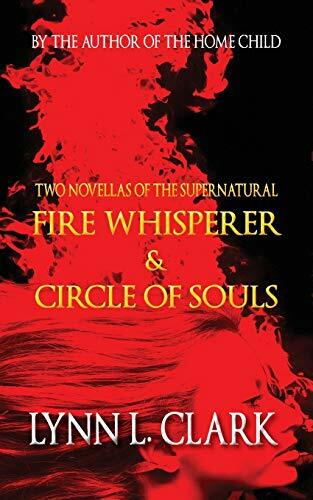 With the tenth anniversary of the fire looming, Keva wants to take back her life by confronting what really happened when she was seventeen years old. "Circle of Souls" - Certain bonds cannot be broken. A young woman doing research at a small museum in Ottawa is almost pushed down the stairs. Her sister-in-law, who restores fossils at a museum of natural history, is touched by an unseen presence. A videographer glimpses unsettling images in his visual work, while a paranormal team leader encounters the inexplicable as he investigates an old mill. Each location where these supernatural incidents occur is said to be haunted, but who exactly is the ghost? Or are there many ghosts seeking human intervention?